Search all Salt Lake City and Utah homes for sale. We have ALL Utah homes and condos from all Realtors provided by the Wasatch front MLS. Find Salt Lake City and Utah homes and condos for sale. Displaying over 18,000 Utah houses and condos for sale every day, updated daily. Save your favorite homes and condos in Salt Lake City and Utah. Salt Lake City has many informal real estate neighborhoods that have popular definitions rather than legal definitions. So have fun, keep an open mind, and enjoy the neighborhood descriptions we put together for the Salt Lake real estate market and neighborhood homes. 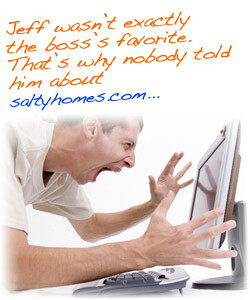 Need to sell your Salt Lake City or Utah home? Realtor®Tony Fantis, serves Greater Salt Lake and Park City, Utah real estate. Buy a home in the Salt Lake valley. Did you know the average Realtor in Utah sells less than 2 homes per year? If you are looking for an experienced, full time Realtor$reg;, call me now at (801) 541-8806. The group real estate concept in Salt Lake City, Utah. Provided by Fantis Group Realtors®for easily finding homes for sale within Utah, Saltyhomes.com is a free, user-friendly home search. Realtor®Tony Fantis has been serving the Salt Lake real estate community for over 20 years, and is the principal broker of Fantis Group Real Estate in Salt Lake City, Utah. You may reach him directly on his mobile phone at (801) 541-8806. 13 years of full time real estate and relocation experience in Salt Lake City. This property was listed for sale previously but is no longer available on SaltyHomes.com. It may be sold, off market, withdrawn, expired, or relisted or excluded. 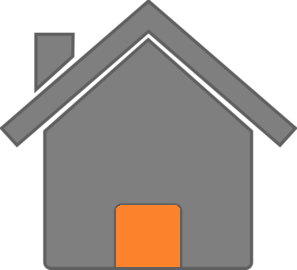 Check out other homes in the neighborhood on the left side of this page. Ready to go house shopping? View all your favorite listings in one trip with Tony Fantis, Realtor®. Call Tony at (801) 541-8806. This property is located in Grantsville, Tooele County, UT . It is located at 48 W Plum St and has 3 bedrooms and 1 bathrooms. The Fantis Group is a full service real estate broker based in Salt Lake City, Utah. Their approach to Utah real estate is traditional and lifestyles-based, yet also progressive and modern. They're committed to real estate excellence offline, too. Tony says, "Call or email us for a free consultation or home evaluation. We're pretty sure you'll be glad you did. We are Salt Lake City Realtors committed to making real estate easy and building real relationships that go well beyond the purchase or sale of your home." One of the many unique services that the Fantis Group provides is this fancy Salt Lake City, Utah home search that is completely free. Enjoy! Price per square foot and price per finished square foot are estimated based on data supplied by the listing broker. Square footage should be confirmed by a licensed appraiser. Google street view is approximate and historical, which may not reflect the most current view of a neighborhood. Price history data for homes and condos reflects the date the information was received from the MLS. "Realtor®" is a registered trademark of the National Association of Realtors®. Real estate agentsthat are Realtors® subscribe to ahigher Realtor® Code of Ethics and Standards of Practice. The information provided is for consumers' personal, non-commercial use and may not be used for any purpose other than to identify prospective homes, condos, and real estate consumers may be interested in purchasing. Information is deemed reliable but not guaranteed accurate. Buyer to verify all information. Maps are approximate. Statistical data and calculations shall be confirmed by consumers prior to making a purchase or sale of real estate in Utah. The multiple listing information is provided by Wasatch Front Regional Multiple Listing Service, Inc. from a copyrighted compilation of listings. The compilation of listings and each individual listing are © 2019 Wasatch Front Regional Multiple Listing Service, Inc., All Rights Reserved. All data on saltyhomes.com is supplied according to the Wasatch Front Regional Multiple Listing Service Policies and Procedures.Each Broker Subscriber expressly consents to all IDX Participating Brokers and all IDX Agents advertising all Listings for properties listed for sale by the Broker Subscriber in accordance with the IDX Policy, and in connection with such advertising, each Broker Subscriber consents to WFR granting licenses to all IDX Listings to IDX Participating Brokers, IDX Agents, Vendors and other third parties deemed appropriate by WFR to facilitate the display of IDX Listings by IDX Participating Brokers and IDX Agents. Fantis Group Real Estate is licensed for real estate in Utah. Fantis Group Real Estate and Saltyhomes.com shares limited consumer information with Realtors® and lenders for the purpose of helping potential buyers and sellers in real estate trasactions. © 2009-2019 Clientopoly IDX Agent Websites (custom design).Some content under license. All other rights Reserved.